First Wednesday: The “war on terror” are Russia and the West now on the same side? US secretary of state Hillary Clinton said, after explosions in packed metro trains in the Russian capital left 38 people dead that, governments and nations around the world face a “common enemy” in terrorism. How useful is such an analysis? And what impact could linking all terrorist activity around the world have on efforts to combat terrorism? 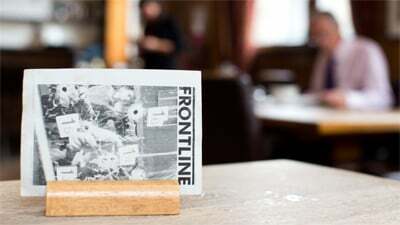 Join us for a discussion hosted by Paddy O’Connell of BBC Radio 4’s Broadcasting House where we will be looking at the “War on Terror” and asking how the world has changed since it was launched. With us to discuss the terrorist attacks in Russia will be Irina Demchenko, UK bureau chief of the Russian news agency RIA Novosti: Dr Bobo Lo, senior research fellow at the Centre for European Reform, author and commentator on Russian foreign and domestic policy; Masha Karp, Russian-born freelance and commentator on Rights in Russia. Oksana Antonenko, Programme Director (Russia and Eurasia) at International Institute for Strategic Studies a leading authority on political-military conflict. Asim Qureshi, senior researcher at Cageprisoners and author of Rules of the Game and Rashad Ali, director of Centri and former head of curriculum at Quilliam will be discussing if the “war on terror” can ever be successful in combatting terrorism. And asa May 6 election is announced in the UK, we will be asking if there would be any changes with a change of government. Like a public meeting, the emphasis of First Wednesday events is on discussion, bringing together experts and commentators on a wide range of issues with lots of opportunity to ask questions and contribute from the floor. 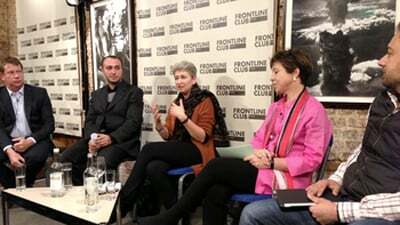 You can read about March’s First Wednesday discussion on Afghanistan’s Operation Moshtarak, watch the video or listen to the podcast on the Forum blog.